The focus of the groups is about finding inner freedom. The men come to realize it is not their circumstances that keep them from happiness. Rather it is their thinking that causes them to suffer. In the class they find freedom within themselves by using different tools, one being The Work of Byron Katie, facilitating each other in a simple method of investigating their thoughts. The men learn that no one in the circle is broken or needs to be fixed. The invitation is to connect with their essence, with the light that is within. 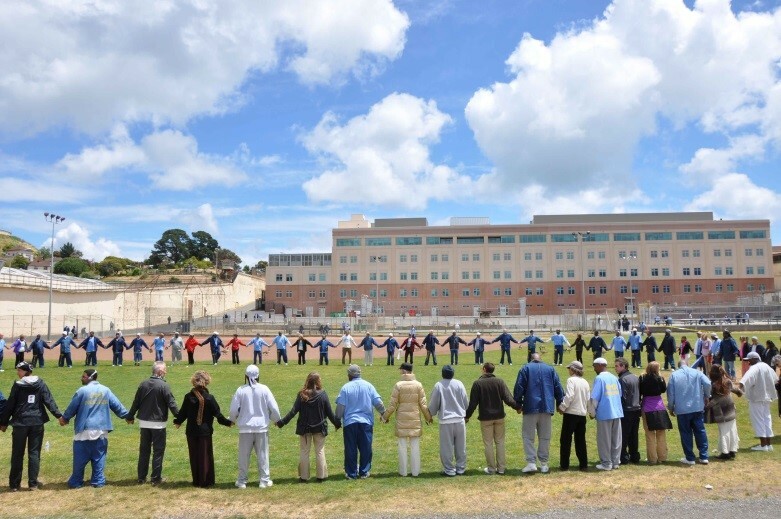 Many of the men come to understand that being in San Quentin is a time out - an intervention for them to become clean and sober or to realize the truth of who they are and to live from their authentic selves. For several of the men whether they've spent a few years or decades in prison, this is the first group they've ever been to and the class has been the catalyst for deep transformation. In a recent group the question was "What gift or blessing grew out of a difficulty in your life?" One man mentioned that the difficulty was growing up with violence in his home and neighborhood, and then being in a gang which led to life in prison twenty years ago. The blessing was coming to his first group, our circle. Before being in the group he identified himself as a gangster, and an angry violent man. After being in the class and his mother's death, he made a decision to turn his life around by being positive, by helping others and by being a role model that will help youngsters with his background. 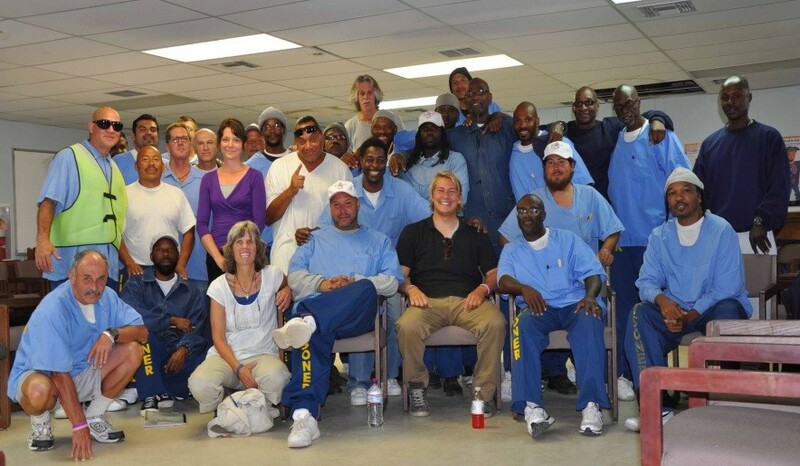 Another man, after 17 years in prison, joined his first group - our class. The trauma in his life was coming to prison. He said our circle has helped him change from having a mask on, being angry, only looking out for himself to being a man of compassion who is opening his heart to others. He was surprised that recently in our group he felt empathy for another man who shared he had been given only three months to live because of cancer. Another man shared that coming to San Quentin helped him get off drugs and he became interested in becoming a man of faith. He too shared that this group has been the main support for his transformation. One prisoner shares "This class has made me a very caring and loving person, and has helped me with my crazy negative thinking." 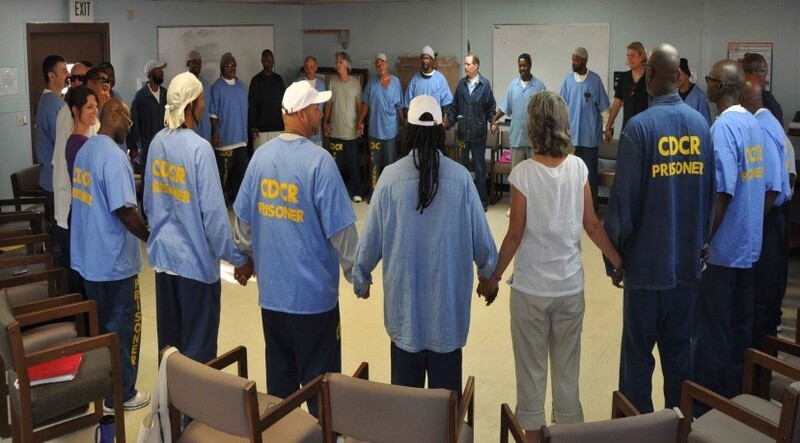 From an prisoner who is in for life: "Since the class, I've been feeling the light inside of me and seeing it in others. I am more able to listen to a brother who came to tell me of a crisis in his life. In the past I wouldn't have slowed down enough to hear him." One prisoner speaking to another in the class: "I don't suffer myself any more with the thought that I may never leave prison. It is what it is and by accepting this, I have found freedom. In fact this class has transformed my life. 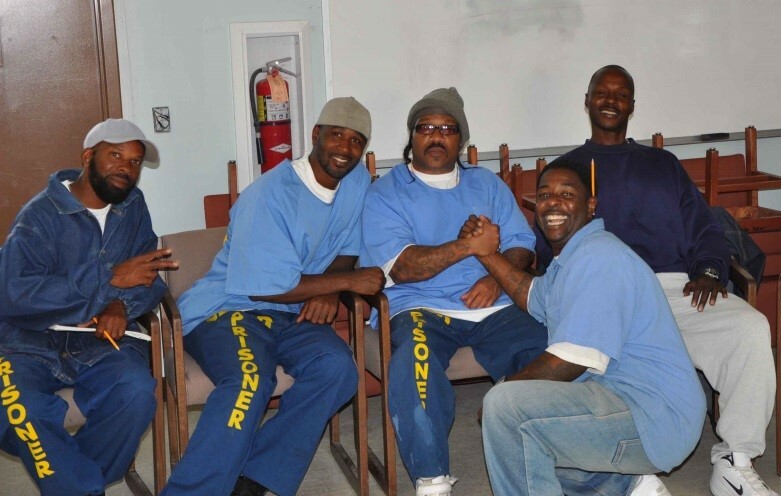 I don't need to leave San Quentin to be free and have a full life." From a guest: "Kathy's facilitation and authentic loving presence inspires trust and deep sharing. She is skilled at listening and engaging with a clear mind and open heart. I have been transformed by her work." If you would like your gift to fund this specific program, please make a note when processing your donation.